We’ve been busy at Plush Towers coming up with some new in house kits, perfect for the beginner sewer. I thought you’d like a nosey. 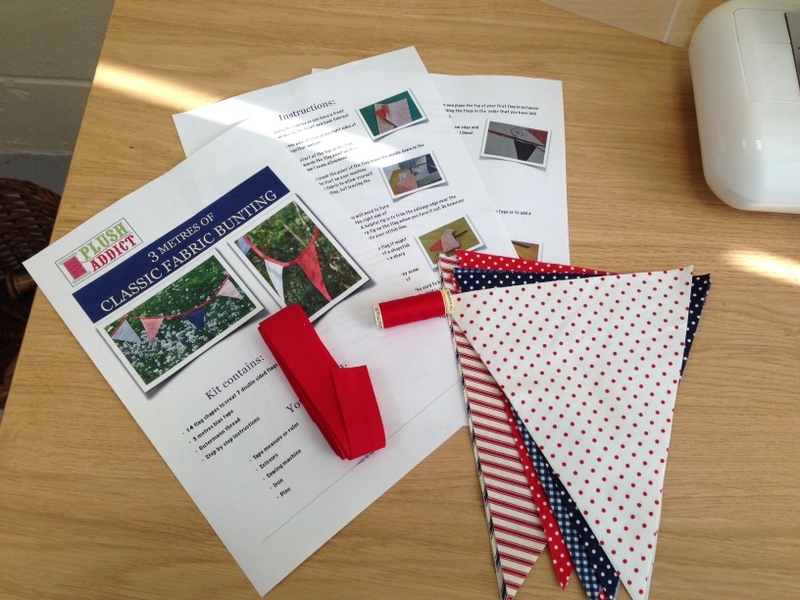 We’ve decided to start with some “make your own bunting” kits and have taken the stress out by cutting the flags on our die cut machine… An amazing leg up for a beginner as all the flags will all be exactly the same giving you the best chance of a really well finished product, genius! 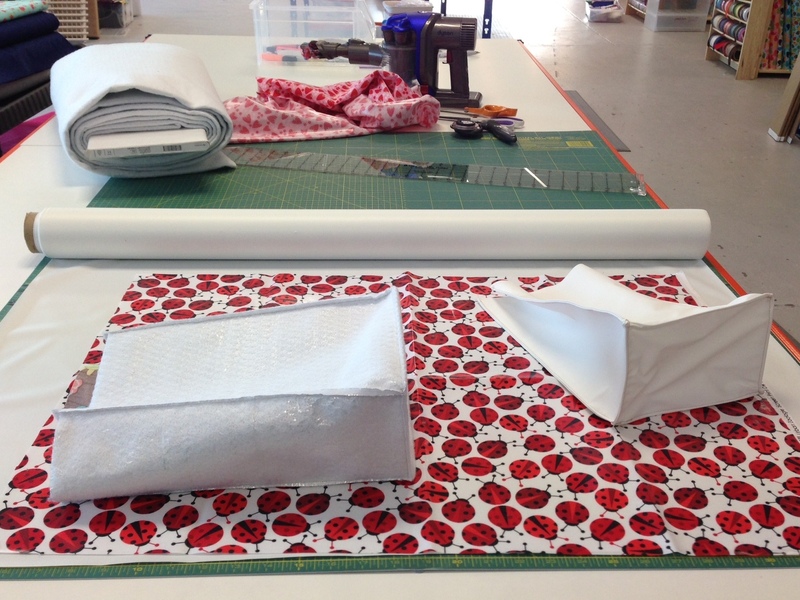 And “The Lab” is in full swing with in-house kit number 2: sew your own lunch bag, lined with Procare which is food safe and with an outer of laminated cotton. These will be available on the website soon. You’ll have to let us know if there’s a kit you’d like to see us put together. Previous Previous post: Blog. Yeah. Next Next post: Home Dec from Alexander Henry is Here!